Explaining Variance In Mobile Slot Games -- How Much Can You Win? If you've been playing mobile slots for long enough, you'll eventually come across the phrases volatility or variance, to describe your payouts in a slot. But what are variance and volatility? There's certainly never any mention of it on the slot's own in-game information. You can see everything including the bonus rounds it holds, its multipliers, payouts and even its return to player rate (RTP). So what do these terms mean? Their rarity might make you think that they are unimportant, but in actuality, it's very much the opposite. Variance and volatility refer to exactly the same thing, which is how often and how much you win back on a slot. In fact, variance and volatility basically govern the very reason we play slot games in the first place; for the payouts. So given their importance, let's take a look at the variance of slots and why you should always bear it in mind when firing up a new game. Since volatility and variance refer to the same thing, we're going to only use the term variance when discussing the subject, but be aware that the words are interchangeable. Slot variance is effectively how often you're likely to actually win in a slot. You may have noticed in some slot games you play, you get regular wins which are small in nature, while in others, you'll have to wait tens of spins before receiving a solid return. This is what variance governs. Slots that dish out regular, but low payouts, are known as low variance slots. Slots that pay out rarely, but in large amounts are known as high variance slots. A slot's variance is tricky information to find and is hard to derive based on other information you can easily find out, like the RTP. Slot RTP can tell you how much of your wagers you'll get back on average. If a slot has an RTP of 97%, that means that for every £1 you pay in, over a long enough period of time, the average you'll receive back will be 97 pence. But this tells you nothing about the variance of a slot, which is the very thing which governs how long you'll have to play for in order to make that RTP mean anything. So for example, you can have two different slots that both have a 97% RTP. Imagine one is a low variance slot and the other is high variance. The low variance slot may give you back 97% of your wager on every spin, allowing you to have a pretty constant RTP on your bet. The high variance slot may pay nothing, or very little back for a few hundred spins, before giving you a 300x multiplier on your final win, giving you the same RTP, but over a much longer period of time.Variance in your slot is very important as it will most likely govern how long you can continue playing and dictate whether or not you should quit or stick with a slot that looks like a lost cause. Which Kind Of Variance Is Good For You? A slot's variance can greatly affect what kind of player is able to get the most out of it. Low variance slots are designed for players who are on a tight bankroll. Lo w variance slots pay back often and although the amounts are low, this allows players to keep receiving back some cash to fuel their budget a little longer and stay in for a potentially big payout. Slots with low minimum bets also regularly have low variance payouts. Penny slots will usually payout every few spins, so they're perfect for players who can only afford low starting bets, while allowing them to keep playing by constantly giving a little back to them. Players who play low variance slots should be aware that once they do start making a profit, they should get out quickly. A big win that puts you in profit is a rare treat in a low variance slot, so once you've made any cash, be sure to cash out. Lots of low variance slots come to mind at casinos such as mFortune, PocketWin and Mr Spin. So check out Benidorm or Bust, Little Red Riding Reels or Dog Detectives for that penny spinning fun! Medium variance are the most popular slot types available at the mobile and online casinos. They offer a great middle ground behind how much you have to spend and how much you can expect to get paid back. They don't offer the biggest jackpots, nor are they the cheapest to play, but by sacrificing the positives of their higher and lower variant cousins, they give players a fair and enjoyable experience. If you're a casual player who wants to play a few short rounds and possibly win something in the process, then middle variance slots are for you. They won't make you big money, but they are more likely to pay you back something across a reasonable gaming session, which is good enough for most. Slots such as Gonzo's Quest and Starburst are some of the ones with medium variance. High variance slots are more expensive than any other slot type, but offer much larger payouts as compensation. High variance slots are designed for the high rollers. You need a much larger budget to stick with a high variance slot and make it worth your while. High variance slots take a long time to pay out anything matching what you pay in. If you start with a low budget, you're going to either run out of cash, or be forced to pull out too early, rendering your earlier bets completely pointless. Progressive jackpots are usually high variance, so if you're a fan of progressive jackpot slots, then high variance games are for you. Just be sure to keep an eye on your budgetary limits, or else you'll run into the earlier problems we pointed out. Other slots such as Cloud Quest and Dragon Born are also high variance. As we've said before, variance is a tough detail to find out. Nonetheless, there are a few ways to find it, either before playing the slot, or by trying it out yourself. Of course, we're missing out the potential for scams. Low min imum bet slots like penny slots should always have be low variance as a rule, with the idea being that you put in less but win back small amounts to stay in the game. However, more scrupulous slot makers that just want your money without giving you a chance can design low variance slots to work as high variance slots instead. Even though you're spending very little, a slot could be designed to pay you nothing back for hundreds of spins, slowly chipping away at your bankroll, until you're forced to concede. 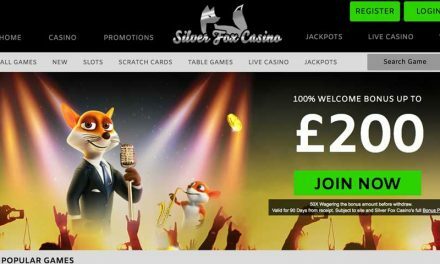 Regulators like the UKGC have become much harsher on slots like this and very few are likely to be available on any regulated platform. The best way to avoid scams is to play on UK licensed casinos, on a big name casino, that hosts popular slot developers. The stricter regulations and companies trying to protect their brands will make it much less likely for any untoward practices to take place. Hopefully, this has shed some light on slot variance and how it works. It's a pain that slot variance is so integral to a slot, yet details of each slot's variance are so rarely published in a convenient place. However, if you keep your wits about you, learn the kind of slots you're playing and do a little extra research by reading slot reviews, you should be able to stay one step ahead of the game. Thanks for reading this guide to slot variance. Good luck out there and we hope you find the slot that's perfect for you. If you have anything else you want to know about slots or the casino in general, then don't hesitate to check out the Info & Guides section on our site! PreviousHow Important Is Customer Support At Online Casinos?